The hunter closes in on its prey. The victim, a small and nondescript prawn, is puttering about in open water above a coral reef. 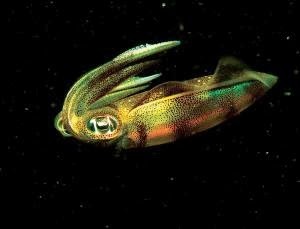 The eyes of its predator, a bigfin reef squid, are locked upon it. Then the squid starts to bob up and down, as if on an invisible trampoline. Moving forward, it suddenly lashes out with its tentacles and ensnares the hapless prawn.